To the uninitiated, Ballantyne Corporate Park may seem like just a maze of beige buildings. I would know since I started working there just nine months ago. But what Ballantyne Corporate Park lacks in Uptown skyscrapers, it makes up for in other ways. Here’s what you should know if you’re new to the corporate park — or just curious about what all is going on down there near the border. 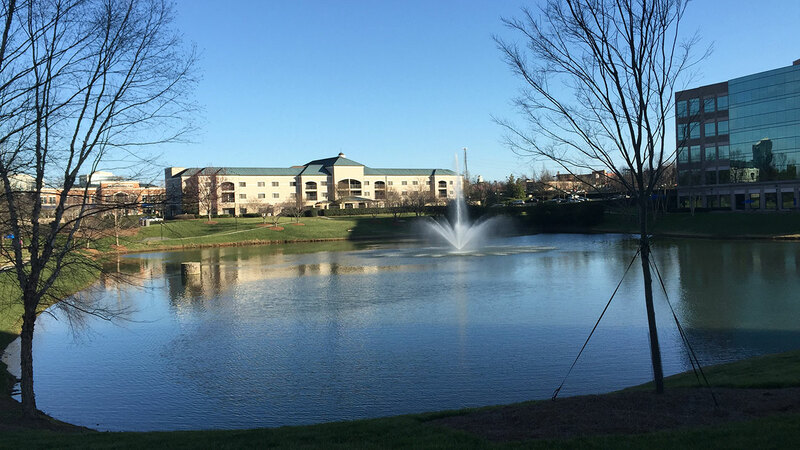 Sprawling over 535 acres, Ballantyne Corporate Park is home to more than 300 companies and 4 million square feet of Class A office space. Large companies such as SPX, MetLife, Premier Inc., XPO Logistics, Snyder’s Lance and TIAA-CREF have corporate headquarters or a large hub there. There’s a speculative 10-story 287,507-square-foot office tower going up on North Community House Road that should be completed near the end of the year. Rush Espresso Café and Wine Bar (14825 Ballantyne Village Way): This Ballantyne staple is located in Ballantyne Village and is known for its cappuccinos and breakfast options. It moved last fall to a roomier location. Plus, you can go back later in the day for wine and tapas. 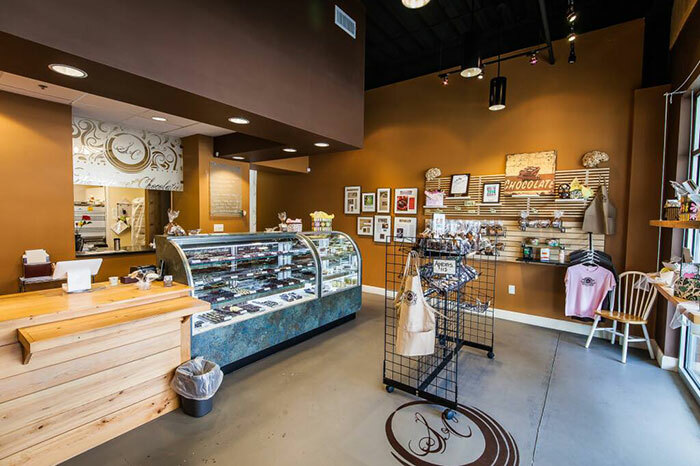 The Secret Chocolatier (11318 N. Community House Road #203): Known for its gourmet chocolate, you can also get your coffee fix at this family-run business. Starbucks: If you’re a devotee of this mass brand, you’ve got some options. There’s a standalone location on Conlan Circle, and you’ll also find Starbucks coffee inside MetLife’s building, in Harris Teeter (15007 John J. Delaney Drive) and the new Sara’s YMCA at The Cafe (15940 Brixham Hill Ave.). 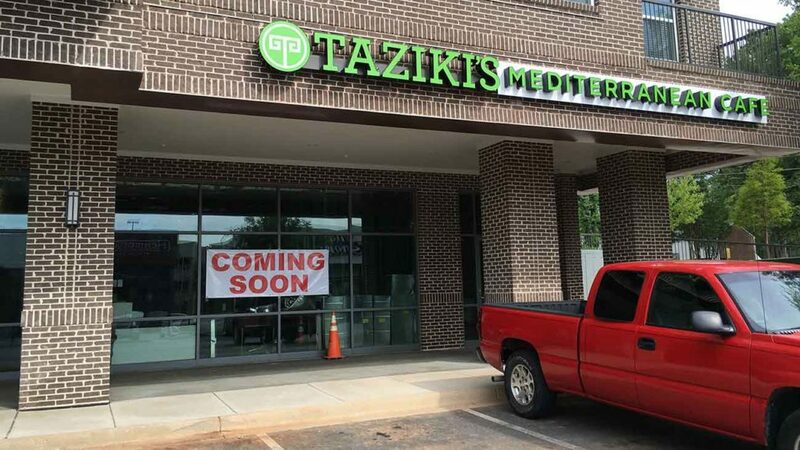 Other options: There’s a Panera Bread (14835 Ballantyne Village Way) for a grab-and-go option, as well as sit-down joints including Broken Egg Café (11324 N Community House Road) and Terrace Café (14815 Ballantyne Village Way Suite 150). A corporate clientele makes this a natural area for business lunches or casual meals with co-workers. There aren’t a ton of fast-food joints, but there are plenty of fast casual options. Food trucks: There’s a regular rotation of food trucks, including Roaming Fork, Maryland Crab Co., Geno’s Hot Dogs, Taco Green-Go, Sal’s Roadside Eatery and King of Pops, that frequent the Brixham Tent and Hayes Building. You can check the full schedule here. 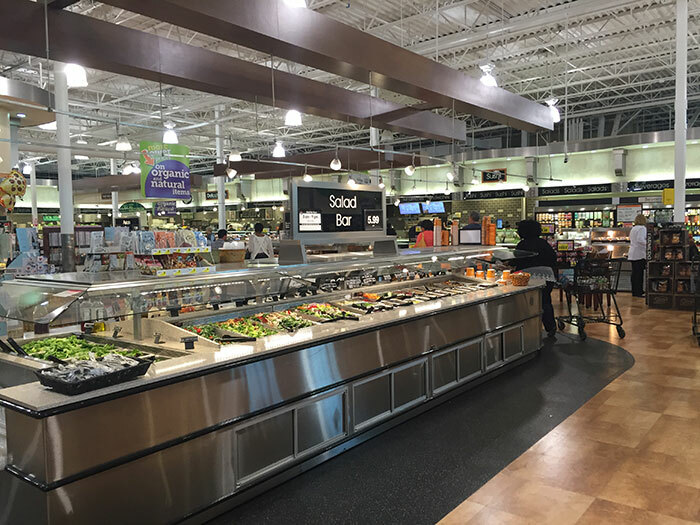 Grocery Store Bites: One of Harris Teeter’s nicest stores is on John J. Delaney Drive, and you’ll find several hot bars, a traditional salad bar and mobile ordering from the pizza bar. Earth Fare on North Community House Road has a solid salad and hot bar and daily specials like $5 sushi on Wednesdays. Local Chains Galore: Chances are your favorite local restaurant also has a location in Ballantyne. Some of my favorite that you’ll find nearby are Viva Chicken, Bad Daddy’s Burger Bar, Zapata’s, Duckworth’s and JJ’s Red Hots. 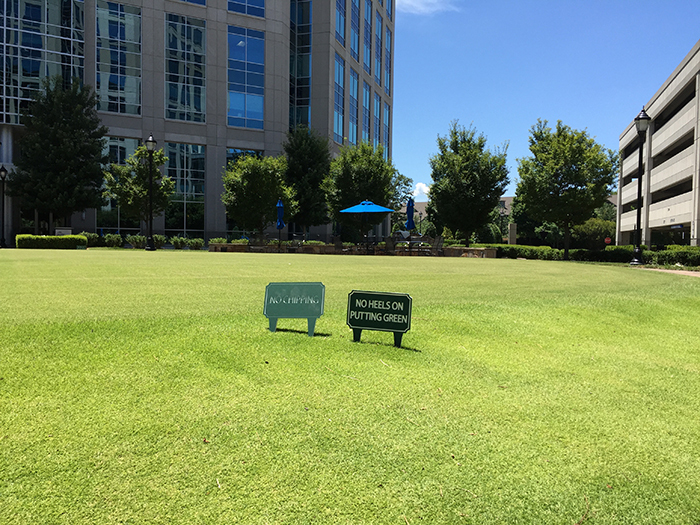 Being a tenant in Ballantyne Corporate Park means you have access to a number of events and amenities. Your go-to resource is the main Ballantyne site (recently revamped) that will list events and deals. Go Ballantyne card: This card is basically like the one you get at grocery and drug stores but gives you access to discounts at businesses within the park. Deals range from discounts at nearby restaurants and dry cleaners to tennis lessons and chiropractor visitors. Annual events: The park has several signature events, including hosting Run! Ballantyne in May, networking event Ballantyne Business Bash in June and school supply drive Color the Park in July and Ballantyne Festival in October. Groups and clubs: There are a number of associations and clubs in Ballantyne. My favorite might be the monthly Ballantyne Book Club. The Charlotte Chamber of Commerce also has a Ballantyne chapter. Working in an office park doesn’t automatically seem like it would be great for your health, but there are a surprising number of ways to stay in shape. Putting greens: Okay, so this won’t give you six-pack abs, but I’d be remiss not to mention the putting greens (located on Dalton Green and Knotts Green) that has balls and putters available weekdays from 9 a.m. to 5 p.m.
A round of golf: If you’re into playing a full 18 holes, you’ll find discounts at The Golf Club at Ballantyne’s course. 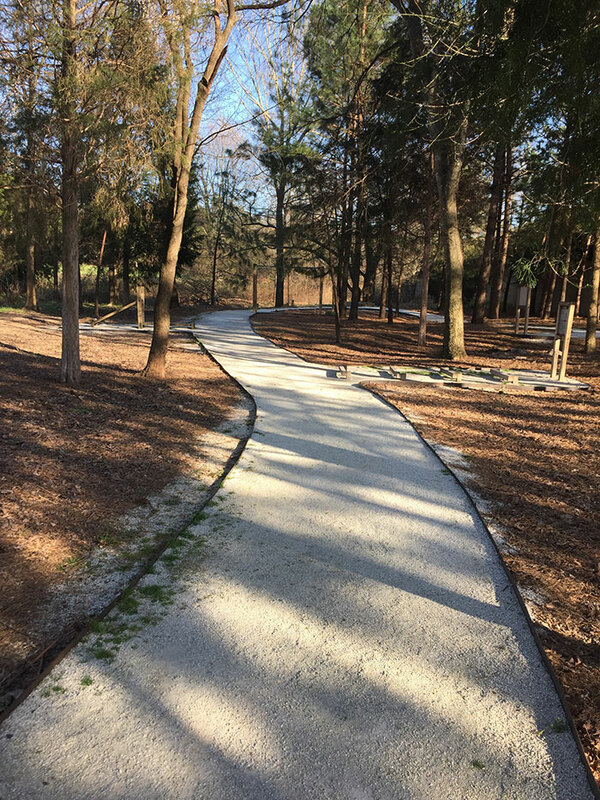 Walking trails: There are a number of pocket parks and trails throughout the corporate park. There’s also a Fit Trail with exercise stations. When you’re working 40-plus hours a week, sometimes you need to meet friends or co-workers after hours for a quick bite or drink. You’ve got lots of options. For sporty friends: Want to catch a game after work? Your best bets include Hickory Tavern and Fox & Hound. For craft beer friends: Do you just want to try a lot of local or craft beers without venturing out of the suburbs? 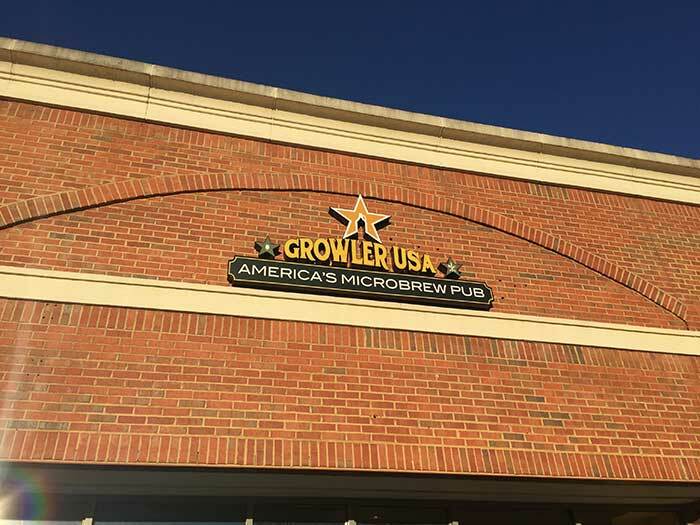 Try newly opened Growler USA or Duckworth’s. For the classy friend: Want a fancier dinner to celebrate something at work? Taking a date who works nearby? Try Terrace Café, Miro Spanish Grille, Bahn Thai or The Blue Taj. Convinced yet that working in Ballantyne Corporate Park doesn’t doom you to a boring time in suburbia? Just don’t be afraid to venture outside of the office. You’ll be pleasantly surprised.